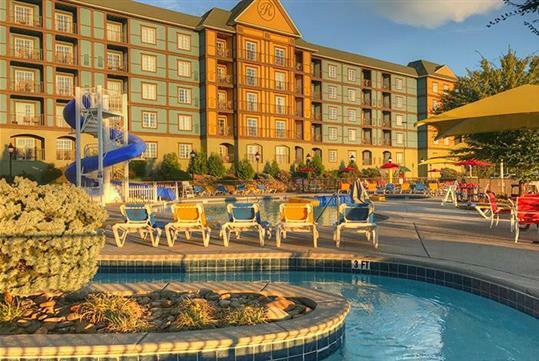 The Resort at Governor’s Crossing features a climate controlled indoor waterpark with high-speed slides, Jacuzzi, sauna, large pool, and children’s pool. Units range from 600 to 2000 square feet featuring studios, 1, 2, and 3 bedroom condos sleeping from 2 to 14 people. 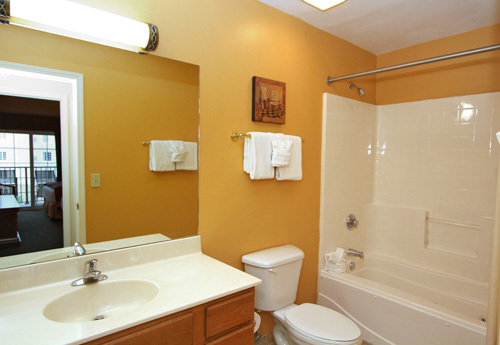 All condos are non-smoking and offer fully equipped kitchens, flat screen TVs, washer/dryers, and free wireless Internet. Awarded TripAdvisor's 2018 Travelers’ Choice Award as one of the Top 25 Hotels for Families in the United States, ranking 17th. 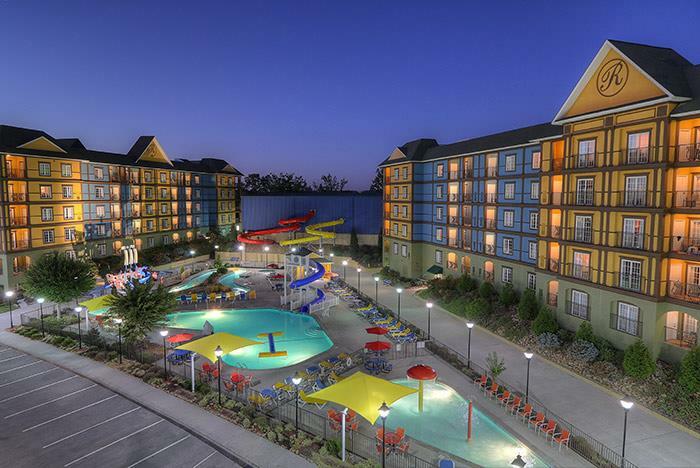 Located close to many area attractions and restaurants, and one of the closest lodging facilities to Dollywood via Veterans Boulevard. Conveniently situated across from Sevier Air Trampoline & Ninja Warrior Park. 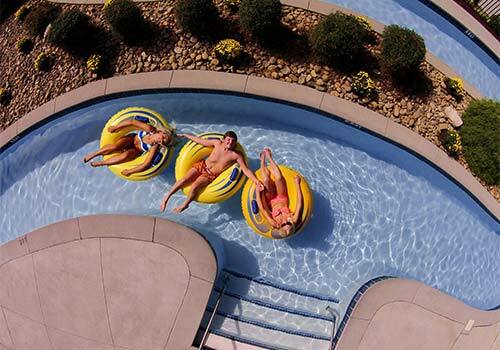 Boasts a free, climate controlled indoor/outdoor water park with 5 pools, 2 whirlpool tubs, and waterslides. 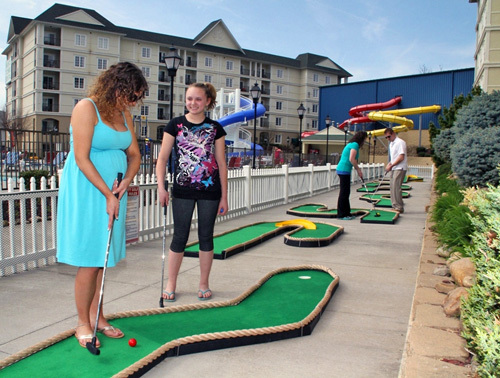 Enjoy the 9-hole mini-golf course and pirate-ship-themed playground. 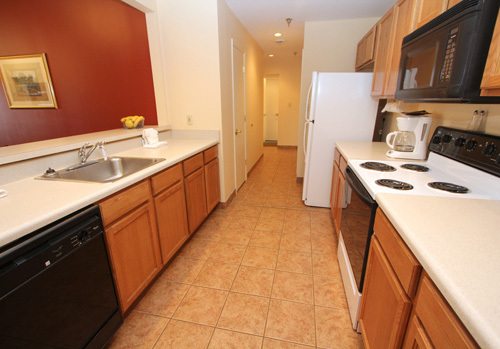 The spacious units feature flat-screen TVs and fully equipped kitchens. Have peace of mind with the 24-hour front desk. 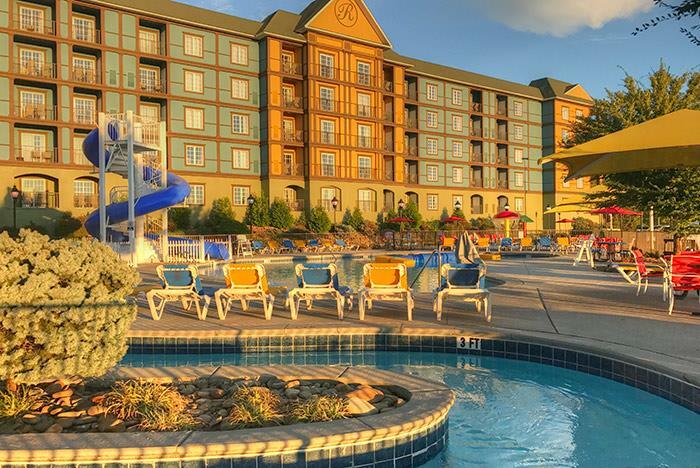 Family Vacation meets Fun & Relaxation at The Resort at Governor’s Crossing. -- The Resort was awarded the 2018 Travelers’ Choice Award by Trip Advisor being one of the Top 25 Hotels for Families in the United States, ranking 17th. The Resort is the only hotel in Tennessee to receive this award in 2018! From the moment you enter The Resort you'll find a unique lodging experience. Two large condominium units, with beautifully landscaped perimeters, flank an array of amenities. Starting with our climate controlled indoor waterpark with high speed slides, Jacuzzi, sauna, large activity pool, zero entry child’s pool and toddler “Splash and Play” to our seasonal outdoor waterpark area with slide, log roll, Jacuzzi, lazy river, children’s pool, and giant sunning deck guests get a glimpse of some of our many inclusive activities. 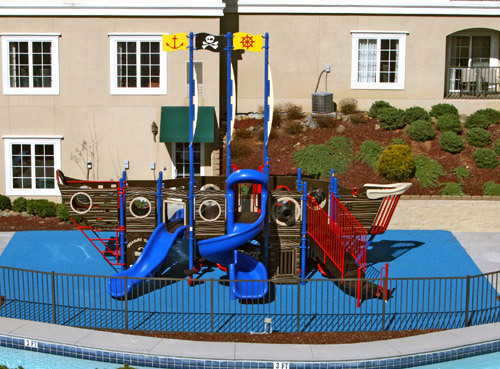 Along with all these water activities, The Resort offers a Pirate Ship playground area for youngsters and a miniature golf course for young and old alike. Our guest units range in size from 600 to 2000 square feet featuring studios and 1, 2, and 3 bedroom condos sleeping from 2 to 14 people. All condos offer fully equipped kitchens, cable flat screen TVs with DVD players, washer/dryers, central heat and air, king and/or queen beds. Some of our units have a warm cozy fireplace and most have private balconies. All units are non smoking and have free Wifi access. 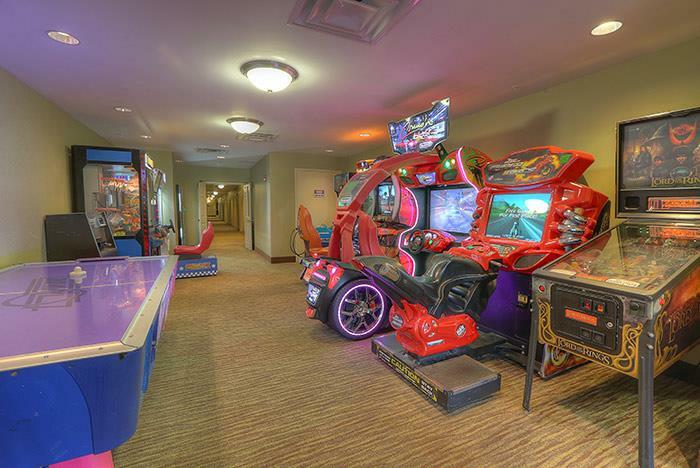 Our lobby has guest computers, and other common areas include a game room and exercise facilities. 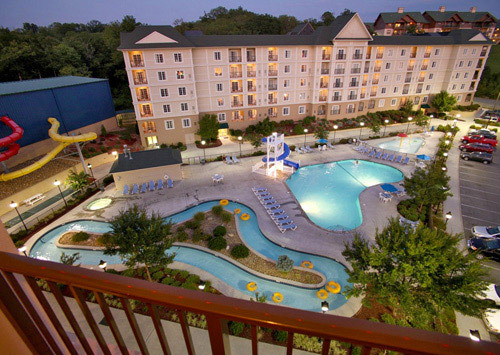 Located in the Governor’s Crossing, The Resort offers guests easy access to all the Smokies has to offer. Be it shopping, fine dining, entertainment, or attractions you are just minutes away, many within easy walking distance. 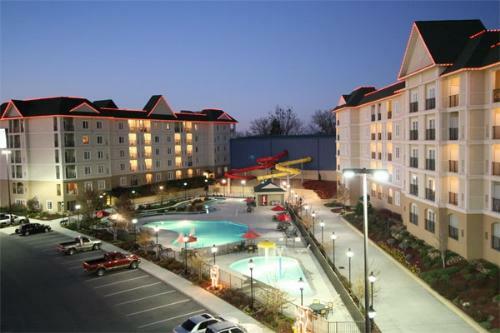 On top of that we are just minutes (we are one of the closest lodging facilities) to Dollywood via Veterans Boulevard. If you are traveling to our area for a convention, corporate meeting or church retreat, The Resort has meeting rooms seating 25 to 40 people, with larger meeting spaces nearby. If your meeting requires catering, "The Resort" offers one-time billing. Everything is taken care of in-house. Baby cribs (pack & plays) available for a daily fee of $5+tax collected at the property. We offer limited housekeeping for towels and trash services. Additional housekeeping services available for a fee. 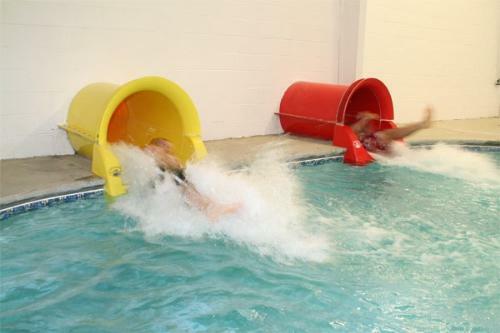 If our unit is not ready and we arrive before 4:00 pm may we use the waterparks? 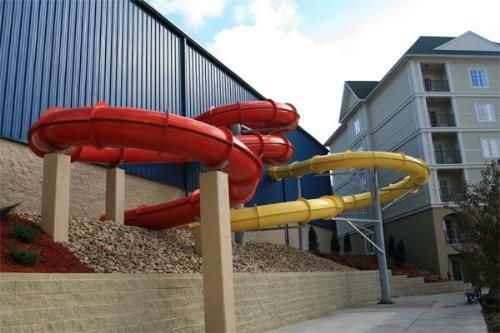 Yes, there are changing areas at both the indoor waterpark and one near the entrance of the outdoor waterpark in building one. 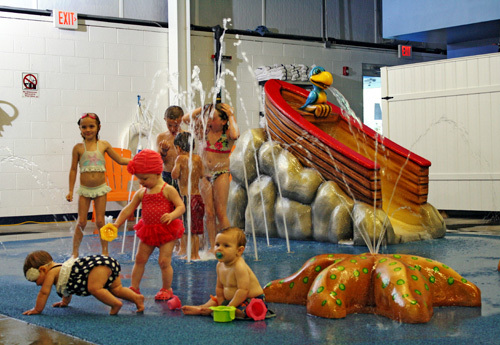 Guests may also use the waterparks after checking out for the remainder of that day. Is there a height requirement for the slides? 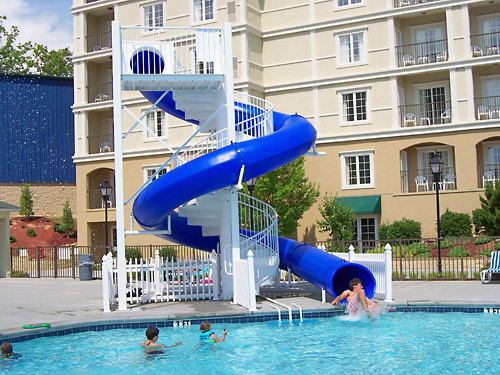 The 2 interior high-speed slides require that children be at least 48" tall. Children between 36-48" may use the slides but are required to wear a safety vest that may be obtained at the indoor waterpark. 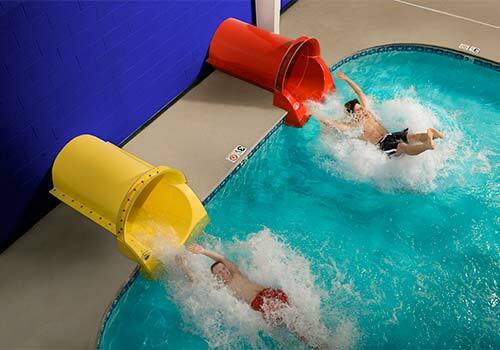 No one is allowed on the indoor slides under 36" tall. The exterior slide has no height requirement. 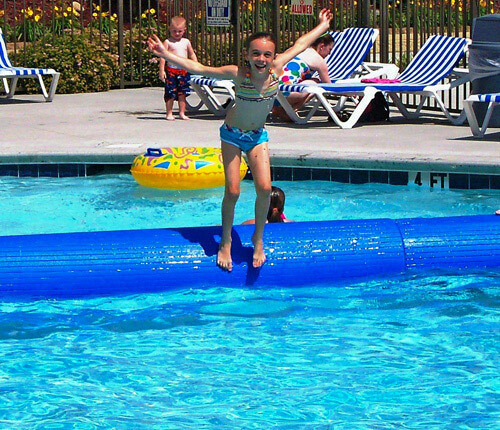 Our pools open at 9:00 am and close at 11:00 pm. No. All units are equipped with full kitchens. Can I smoke inside the units? No. All units are non-smoking. Those who wish to smoke must smoke on their own balcony. We request that they close their balcony door to keep smoke from entering the unit. Do the units have Internet access? Yes. 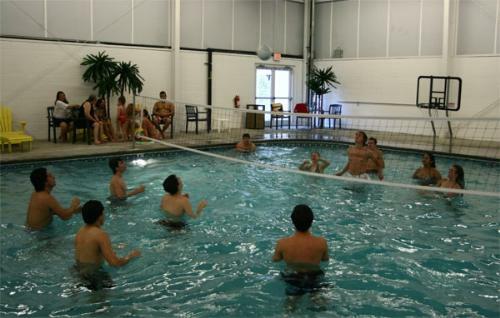 All guest units and public areas have wireless internet access. We have the pack-n-play style cribs. There is a $5 + tax daily fee for their use. Do you have roll-a-way beds? No, outside of infants, occupancy of the unit is limited to the number of guests that may sleep in provided beds and sleeper sofa the unit is equipped with. Each bed and sleeper sofa is considered to accommodate 2 guests. Do the units have washer & dryers? 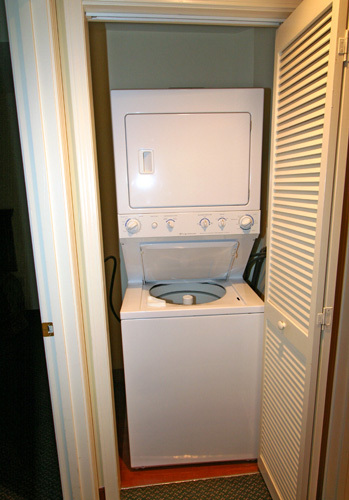 All guest units except the queen studio are equipped with a washer/dryer. Do the kitchens have dishwashers? All units are equipped with dishwashers and one starter pack of dishwater detergent.